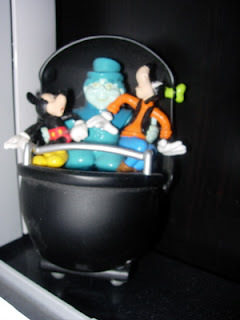 This is a small toy, a model of a "doom buggy" from the Haunted Mansion. Here, we see Mickey Mouse and Goofy and one of the "hitchhiking ghosts". I love this little piece, which I bought at Disneyland.